A hundred years ago, World War I was ravaging Europe. The grinding trench warfare was bleeding the armies of the European powers and the Ottoman Empire at a fearsome rate. Although it was unanticipated in 1916, the massive, destructive and fateful watershed of the early twentieth century was pushing nations and much of the existing social order closer to the breaking point. 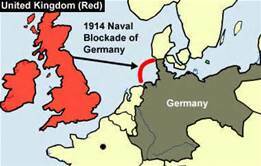 At the beginning of the war in 1914, the Allied powers initiated a naval blockade of the ports of the Central Powers: Germany, Austria-Hungary and the Ottoman Empire. The blockade’s primary emphasis was on German ports and Austria’s Adriatic ports. 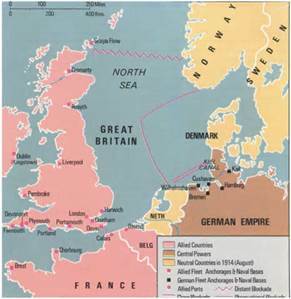 By cutting the maritime supply routes, the Allies hoped to bring the German economy to its knees and crack German home front morale. As the bloodstained year of 1916 drew to a close, the blockade began to produce some of the results the Allied war planners had envisioned. Before the war, Germany imported critical raw materials, non-ferrous metals and fertilizer. The raw materials and chemicals used in industrial manufacturing made up about 77% of German prewar imports. During wartime, these imports were needed to support war industries and food production. Due to the blockade’s effectiveness, German imports were reduced by 55% by 1915. Although historians disagree on many of the details, the blockade is generally credited with making a sizable contribution to the Allied effort to win the war. Over time, it led to a slowing of German industrial and agricultural production, food shortages and rationing. Although some aspects of the blockade circumvented the international law of the era, it severely crimped the German economy, food shortages were becoming common by 1916. Matters were made worse by the failure of the German potato crop after the winter of 1916-17. 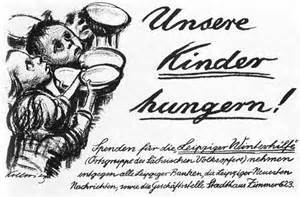 By 1917, there was wide-spread hunger in Germany. Malnutrition was rampant, the average diet was down to 1,500 calories per day. The average civilian body weight had dropped between 15% and 20% by the end of 1917. The population was afflicted with a host of illnesses related to poor nutrition, dysentery, typhus, tuberculosis and scurvy. After the war, analysts concluded that the blockade caused approximately 424,000 deaths from starvation and disease in Germany. Due to the chronic scarcity of food, the size of the military ration had to be reduced. As the war continued, food shortages reached crisis levels since crop yields had fallen drastically. The German civilian population was exhausted and disgruntled by 1918, resulting in growing political unrest. The food shortages led to riots in German cities, the German Navy mutinied and the government collapsed. Although active warfare ceased with the armistice in early November 1918, the naval blockade was not lifted until after the Treaty of Versailles was finalized in June 1919. In Germany, the ill-fated Weimar Republic picked up the pieces of governance, it would survive until 1933. This blog is just perfect for any student trying to understand some more about history. This post about the I World War was just well-crafted and made specially for people who wanted to know a little more about The Great War. Cheers!